Google isn't the only massive tech company eager to overhaul its corporate image. Today Verizon Communications (not to be confused with Verizon Wireless, which is technically a subsidiary and a separate company) announced a new logo. That's it, above this text you're reading. You can look at it right now. 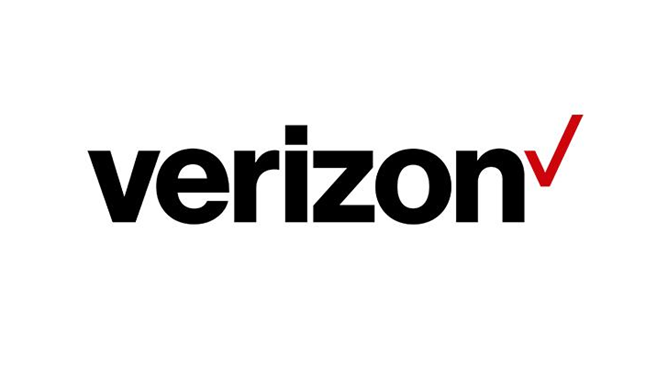 Below is the former logo, which is still emblazoned on basically everything Verizon owns at this point. Our resident graphic designer Liam would be better at this, but speaking as a former semi-pro, my semi-professional opinion is that it's fine. It's OK. Nothing exciting, but nothing particularly objectionable either, and at least it doesn't actively confuse consumers like Alphabet or Logi. I actually didn't have a problem with Verizon's former design, which was instantly recognizable if a little bland. You can expect the new Verizon logo, modified a bit for cross-company branding, to appear on Verizon Wireless promotional material and devices over the next few months. The new brand identity takes the best elements of Verizon’s heritage, represented by its colors and the Verizon “checkmark,” and transforms them for a new era. At its most basic level, the new logo is a visual statement that honors our history and reflects an identity that stands for simplicity, honesty and joy in a category rife with confusion, disclaimers and frustration. It’s a cleaner, more human design and the checkmark, the universal symbol for getting things done, uniquely expresses the reliability of Verizon. Look at that logo up there. Point to the part that "stands for simplicity, honesty, and joy." Go on, I'll wait. Not to belabor a point, but I'd also like you to find the simplicity, honesty, and joy that shines out when Verizon opposes FCC net neutrality legislation by insulting its supporters with a "Throwback Thursday" letter, or actively partners with the NSA to spy on American citizens, or still pre-loads VZ Navigator on phones in 2015. That last one isn't particularly evil, it's just annoying. Someday I want to sneak into a corporate copywriter job and see how long it takes them to catch all the completely meaningless crap I would slip into press releases.